Discussion in 'Help & Support' started by Snubaxis655, Apr 14, 2019 at 3:21 PM. How can I use these symbols on han hfw? I am using Han xmb tree by horovo games to make game folder just want these symbols in the title. Danxx444, Coldheart2236 and Snubaxis655 like this. If you just want to use them in the folder names that is easy enough. See post #15 in that thread sandungas linked to, I attached a text file there along with images showing every icon. To add the icon to the category_game.xml just copy and paste the little square from the txt file into the folder title field in the xml. Thanks and I am using your file . For some reason the xmb tree doesnt let the special symbol get pasted in name.It makes a pkg file i can unpack pkg and edit name but I am unable to repack it back. Not exactly what you mean? Can you show an example of an xml entry? Repacking a pkg should not normally touch any contained xmls. You could also try using the file copier to inject the xml on its own just to see if that works. 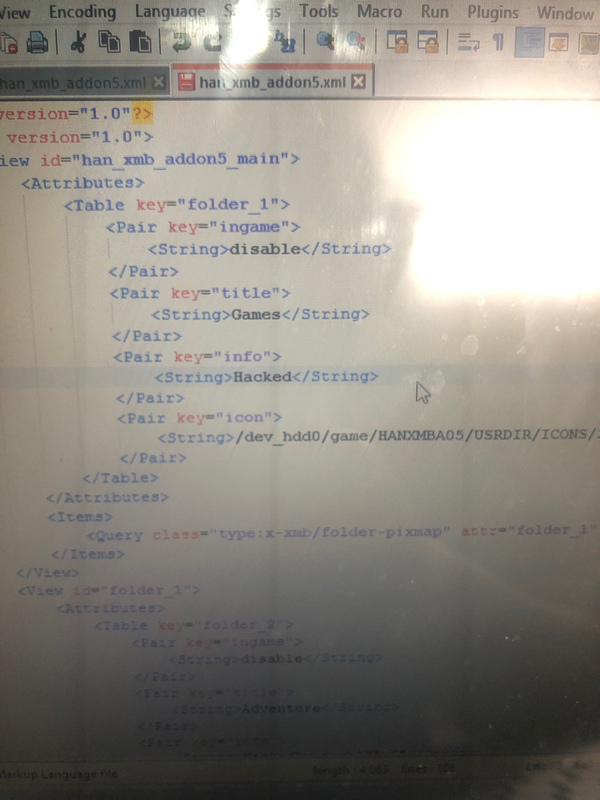 This is the xml contained in pkg i can add the symbol here and repack it as pkg but I am unable to cause I am a big noob at ps3 stuff. Can you copy and paste a bit of the xml here and i will have a look. I dont see any custom icons in your xml picture. 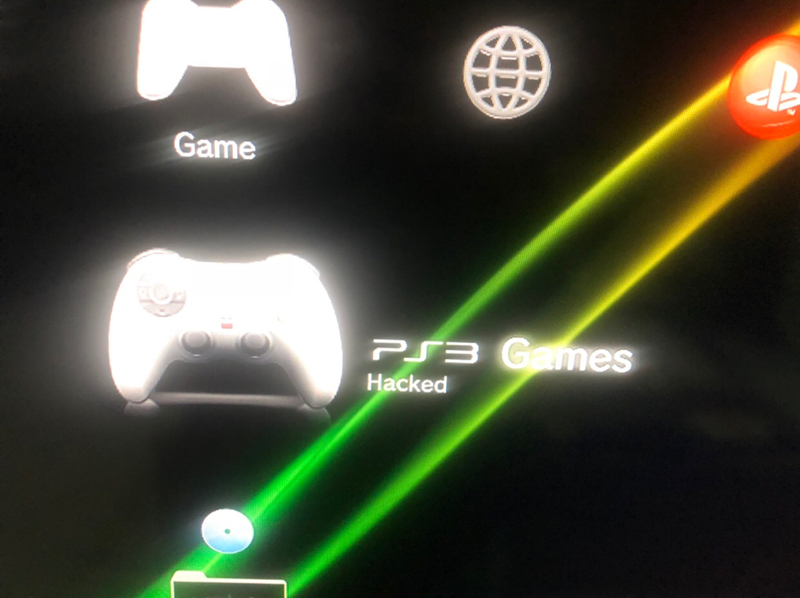 Save it with the little square in the title, then add it to the ps3, either in a pkg, or by injecting it with file copier etc. With the file copier, you just add the paths of the source file, and the then add the destination, have a look at it , its kind of explains itself. Thank you so much for helping man.I repacked the pkg with ps3gameextractor cause file copier would have taken too long.It worked perfectly. Danxx444, aldostools and DeViL303 like this. That's cool, I see now what you are doing. FYI: Sony never added any PS2 logo on the PS3 for some reason, but littlebalup or someone found one in the Vitas imagefont.bin. There is a modded PS3 imagefont.bin somewhere on here with it added by him, I cant find it right now though. citra mulia, Algol and Snubaxis655 like this. Like to personalize alot .Btw thanks again for helping and giving me the file. Danxx444 and DeViL303 like this. In order to be like this image, with the same symbol, just in the corner. citra mulia, DeViL303 and Algol like this. Well that was only there as it was the title of an app I used to show that image, so it was normal. To do that in a standard xml entry, or an rco entry you would need to make a custom imagefont.bin. You will have to wait and see. Maybe some tools will be released so we can add those. You will have to wait and see. Maybe some tools will be released so we can add those. A subliminal message for me? sandungas, citra mulia and DeViL303 like this.